Shop online for 37 riich plastic models at discounts up to 20%. Cars / Trucks / Vehicles is the most popular of the 3 riich plastic models categories, then Ships, and Figures. 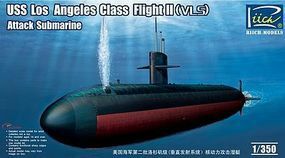 This is the 1/350 Scale USS Los Angeles Class Flight II VLS Attack Submarine Plastic Model Ship Kit by Riich Models. This is the 1/350 Scale USS Los Angeles Class Flight III 688 Improved Attack Submarine Plastic Model Ship Kit by Riich Models. 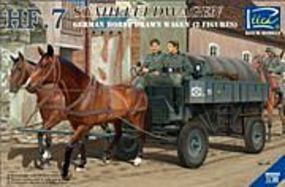 This is the 1/35 Scale German HF7 Horse Drawn Steel Field Wagon with 2 Horses & 2 Figures Plastic Model Military Vehicle Kit by Riich Models. 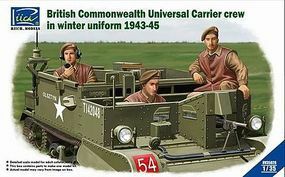 This is the 1/35 Scale British Commonwealth Universal Carrier Crew in Winter Uniform 1943-45 3 Plastic Model Figure Kit by Riich Models. 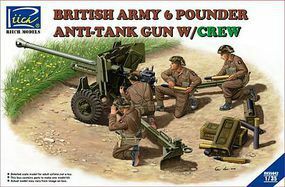 This is the 1/35 Scale British 6 PDR Anti Tank Gun with Crew Plastic Model Military Vehicle Kit by Riich Models. 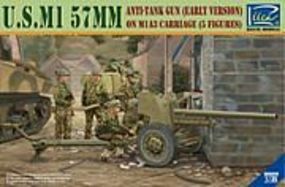 This is the 1/35 Scale US M1 57mm (Early Version) Anti-Tank Gun on M1A3 Carriage with 5 Crew Plastic Model Military Vehicle Kit by Riich Models. 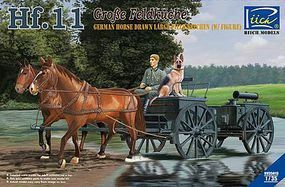 This is the 1/35 Scale German Hf11 Horse Drawn Large Field Kitchen with 2 Horses, Figure & Dog Plastic Model Military Vehicle Kit by Riich Models. This is the 1/350 Scale USN DSRV-1 Mystic Deep Submergence Rescue Vehicle (2 Kits) Plastic Model Ship Kit by Riich Models. This is the 1/35 Scale US M1 57mm Anti-Tank Gun on M2 Carriage (Late Version) Plastic Model Military Vehicle Kit by Riich Models. This is the 1/35 Scale British Airborne Universal Carrier Mk III & Welbike Mk II (Limited Edition) Plastic Model Military Vehicle Kit by Riich Models. 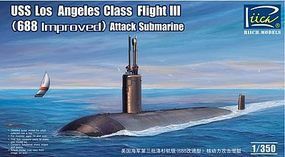 This is the 1/350 Scale USS Los Angeles Class Flight I 688 Attack Submarine Plastic Model Ship Kit by Riich Models. This is the 1/35 Scale WWII Radschlepper OST Skoda RSO Vehicle Plastic Model Military Vehicle Kit by Riich Models. This is the 1/35 Scale VCL A4E12 Late Light Amphibious Tank Central Troops National Revolutionary Army Plastic Model Military Vehicle Kit by Riich Models. This is the 1/700 Scale Russian Project 955 Borei Class SSBN Submarine (2 Kits K535/550) Plastic Model Ship Kit by Riich Models.